If we want to visualize statistics, graphs are one of the best ways of representation. Understanding data becomes easy and obvious with the use of graphs. 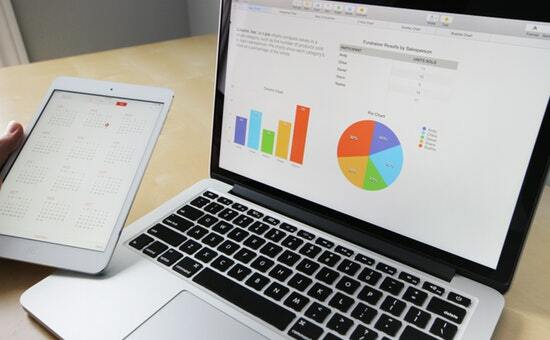 There are various charting libraries like Google Charts, Highcharts, Chart.js and more. Previously, we have created example code to generate the graph using Highcharts. Let us create an example for creating graph view with the use of Chart.js library. Creating graph view using Chart.js is simple and easy. I have created the graph output for dynamic data retrieved from the database. I have a MySQL database table tbl_marks containing student marks. 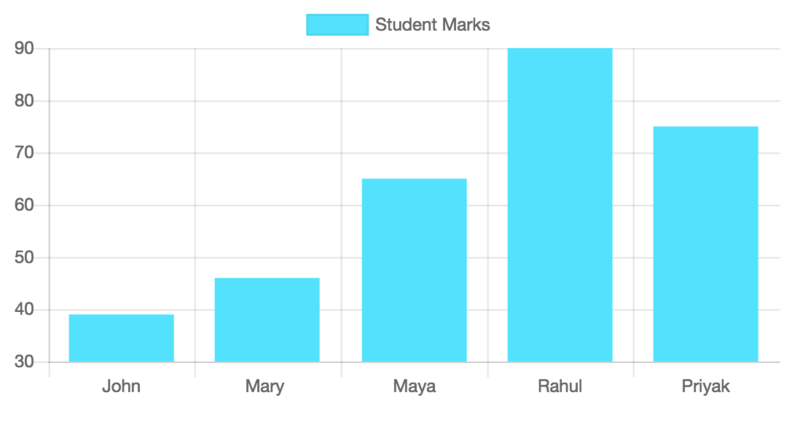 I read the mark data and supplied it to the Chart.js function to create the graph with the mark statistics. Download Chartjs library from the GitHub and include the library files in your example. In the landing HTML page, I have a HTML5 canvas element to plot the graph output. On loading the landing page, I send an AJAX request to the PHP to read student marks from the database. This JSON response will be parsed and supplied as the parameter to the Chart.js function to create the graph. PHP gives limitless support for handling JSON file via programming with its built-in functions. This screenshot shows the graph output generated by Chart.js charting library with the dynamic data from the database.